This is a popular time to rethink old habits, so why not rethink some of those habits you have that aren’t so good for the environment? 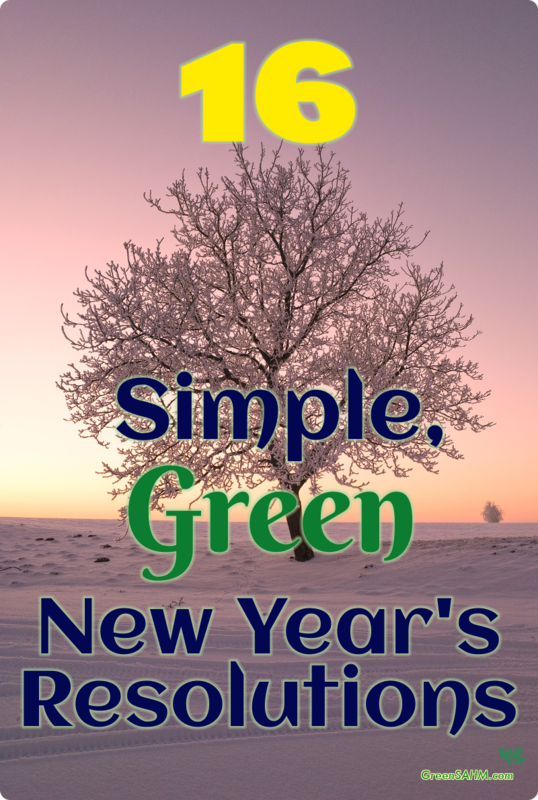 Today I’d like to present a list of reasonably simple things you can do to have less of an impact and live greener. And when you have to buy, try to buy green. This can mean buying local, organic or fair trade when possible. It can also mean checking out resale shops and thrift stores. You might be amazed at the quality of things you can buy that aren’t new. So much of what we buy can be reused. But even if you can’t come up with a use for it, someone else might. When it’s reasonable, remember to list items on Freecycle or give to thrift shops. We reuse a lot here. Most gift bags used for holidays or birthdays are kept for the next one. They don’t look perfect, but they work. Some of the burp cloths we used back when my kids were babies are still in use as an alternative to napkins or kleenex. Cloth is so much kinder to the nose when you have a miserable cold that I hate it when I need to use a disposable tissue instead. Yes, the third part of the usual reduce, reuse, recycle routine. Most areas have made recycling easier. You may or may not have to split your recyclables into separate bins for each type these days. Where I live, all recyclables go into one bin, making it as easy as throwing them in the trash. Also, try to find reputable places to dispose of old electronics. When it comes time to get rid of that old computer, television or whatever it may be, do not throw it in the trash. Earth 911 has resources for recycling electronics. Sometimes schools and other local organizations will hold electronics recycling events as a fundraiser, giving you the chance to get rid of old electronics and do something good for that organization. 4. Switch to natural and/or nontoxic cleansers. Method and Seventh Generation are two popular brands that you can often find locally. You can also make your own cleansers. Baking soda and white vinegar work for an amazing range of cleaning needs. A good battery recharging system means you will go through fewer batteries and save money in the long run. Figure out how many batteries of each type you will need and get a system that can cope with your needs. 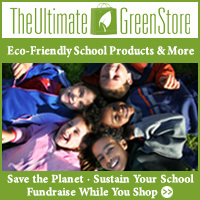 Amazon.com and GreenBatteries.com each have a decent selection. 6. Warm your body, not your house when possible. Rather than turning the thermostat up to 70 degrees F or more, remember what your parents used to say and put on a sweater. Maybe even some socks or slippers if you’ve been running around the house barefoot. You can keep the thermostat at a much lower temperature this way, saving on heating oil or electricity in the process. If a day is sunny but cold, opening the blinds may help to heat your home. I do this only on the side of the house that gets direct sunlight in winter. The reverse can be more challenging in summer. Keeping your thermostat to a higher temperature to avoid using the air conditioner is not easy for many people. It’s not too impossible for me since I work at home and don’t often go into air conditioned buildings. It takes just a couple weeks to get used to being warmer, along with figuring out how to block the worst of the heat. If you don’t mind the look, folded cardboard boxes in windows really do help, as do sheets or blankets covering the windows. Anything that keeps the heat out means you’ll use the air conditioner less. Don’t forget to check and replace filters regularly! 7. Wash your clothes in cold water. Most of the time cold water cleans your laundry quite well. A warm wash rarely improves your results in any significant way. Modern washing machines and detergents can do a very good job of cleaning your clothes without heated water in most places. But don’t buy bottled water. Buy a nice reusable bottle either from a local store or through Amazon.com. I prefer stainless steel bottles for their durability and safety. You’ll save money as you do something good for yourself and the environment. This is not in contradiction to #8. You should drink more water, but people tend to waste a lot of water. Take shorter showers and rethink how much you water your lawn. Deeper waterings are more effective than more frequent watering, for example. But you should also be looking at your overall landscaping and figuring out how to make it more suited to your local climate. Whatever lawn you do keep, allow to grow taller. If it’s at least 2-1/2 inches tall it will need less watering and be more resistant to weeds. Don’t run half full washing machines or dishwashers. While the occasional smaller load may be necessary, most of the time you can wait a little and build up a full load. But by the same token, think about how fast things really get dirty. Kids can be great for wearing an outfit for a half hour, then throwing them in the clothes hamper to be washed. Often, they aren’t really dirty, and could be put away rather than into the laundry. Similarly, many people find it simple to use a towel more than once for drying off. How often you use a bath towel before washing can be a personal preference, but most say you should wash it after about three uses. Hand towels should be replaced every couple days, depending on how much they get used. 11. Stop using disposable dishes. These are easiest when you’re entertaining, but a lot of people use them fairly frequently just because they feel like it. 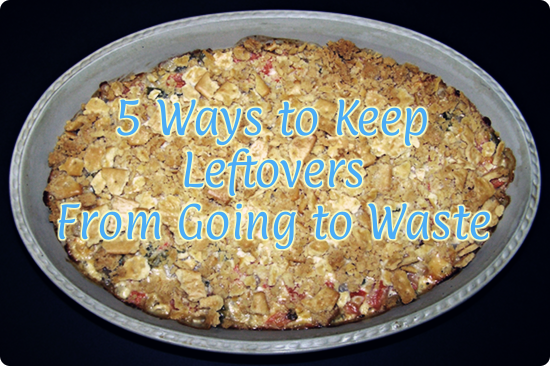 Whenever possible, even when you have company, don’t use disposable dishes or plasticware. This goes for lunchtime too. Many people bring or buy lunch at school or work. But if you bring leftovers from home in reusable containers you won’t be throwing out so many disposable containers. Reusable lunch bags are easily found locally or on Amazon. You can even avoid plastic in the containers by finding stainless steel or glass containers for your food. 12. Get off junk mail lists. This one should be an absolute pleasure! Junk mail is incredibly annoying. Credit card offers can be particularly annoying, as many worry about security risks with them. They’re easy to get rid of, however. You can opt out for five years or permanently through www.optoutprescreen.com. You can further decrease your junk mail by asking the DMA to take your name off mailing lists. That is, eat at least one vegetarian meal a week. Eating less meat can be good for you, and there are many delightful vegetarian recipes you can try. Even if you love your meat, this one should be possible. Meatless Monday is the traditional day, of course. You can go meatless any day it’s convenient to you. If Monday is the wrong day for any reason, just pick another day. There are tons of wonderful vegetarian recipes out there. Start searching and find some that include ingredients you know you like. 14. Have the kids help. The younger kids learn to respect the environment, the more of a habit it can become. Don’t give them all the toys they want, just because they saw them on television. Think about how much they have and how much easier it is to appreciate what you have when there’s less of it. 15. Bring your own bag. Reusable bags are available in many stores these days. These are a wonderful substitute for the plastic bags that are otherwise often a single use item. Reusable bags are required in California now. You can buy much nicer reusable bags than what the stores sell if you like. These should last longer, and feel nicer to carry. They’re so useful that my aunt loves to give Envirosax as party favors for adults. 16. Don’t fall for green consumerism. While buying green products is a good idea, it’s not green if you’re overdoing it. Think about what you really need before you shop. Buying lunch boxes and shopping bags makes sense because you’re going to be using fewer one-use items. Buying an entire new wardrobe of clothing so you can get it all organic or fair trade does not. I’ll be posting in the next day or so on some of the more challenging things you can do to go greener. Nothing too hard, just things that might take a bit more commitment, without requiring a complete change of lifestyle.